Screen legend Sir Anthony Hopkins has created a brilliant career spanning the decades playing complex characters across genres, with forays into thrillers, biographies and dramas to name but a few. To celebrate the release of his latest film, KIDNAPPING FREDDY HEINEKEN, out on Blu-ray and DVD from the 8th June 2015 courtesy of Signature Entertainment, we take a look back at some of his greatest films. This film captures one of the most audacious and infamous crimes in recent history. When low-level career criminals Cor Van Hout (Jim Sturgess), Willem Holleeder (Sam Worthington) and friends are turned down for a bank loan they decide to solve all of their problems in one fell swoop by kidnapping Freddy Heineken (Sir Anthony Hopkins). Heineken, heir to the brewing empire and one of the wealthiest men in the Netherlands and his driver are captured and held for 21 days before a ransom of 35 million Dutch guilders is paid – equivalent to €15 million and still the largest sum ever paid as a ransom for a single person. However, the reality of life on the run and the pressures of guilt soon begin to infect the group as it starts to unravel from within. This thriller classic dominated the box office when it came out in 1991 becoming the highest grossing film of that year. Not only did this film earn five major academy awards, but it made Hopkins a superstar. Hopkins stars as Dr. Hannibal Lecter, a smart psychiatrist who also happens to be a disturbing cannibalistic serial killer. FBI agent Clarice Starling (Jodie Foster) turns to Lecter in hopes that insight into him can help her stop another serial killer. Hopkins delivers a charismatic yet chilling performance that is sure to give you the chills no matter how many times you watch it. This biographical film follows the complex life of former United States president Richard Nixon. Hopkins starred in the lead role of Richard Nixon despite not being the obvious choice for the role initially. He proved his critics wrong by delivering an amazing performance that earned him an Academy Award nomination. Hopkins captured the deeply flawed person Nixon was while managing to gain the audience’s sympathy simultaneously. In this film Anthony Hopkins reprises his iconic role of Dr. Hannibal Lecter. Once again Hopkins brings a chilling performance to the screen that leaves the audience mesmerised. This time we find Lecter has escaped from custody and is in Italy. Mason Verger (Gary Oldman), a surviving victim of Lecter wants revenge and decides to use Clarice Starling (Julianna Moore) to lure him out and get it. This biopic follows the man whose physical deformities made him notoriously known as the elephant man. Dr. Frederick Treves (Anthony Hopkins) finds John Merrick (John Hurt) working as sideshow act, and decides to bring him home. Treves quickly realizes that Merrick has a heart of gold and could teach high society a thing or two about dignity and class. Hopkins’ character may not have been the lead role, but the kindness and humanity he brought to the role made him a standout. This crime drama follows Ted Crawford (Anthony Hopkins), a structural engineer who shoots his wife and signs a confession admitting to it. This seemingly open and shut case takes a thrilling turn when Crawford insists on going to trial and defending himself. Willy Beachum (Ryan Gosling), the prosecutor sent to put Crawford away, quickly learns he has quite the cunning adversary on his hands. This film takes an interesting look at death and life and the little things in life we take for granted too often. William Parrish (Anthony Hopkins) is a successful business man whose death is imminent, but in an attempt to have a little more time he agrees to be a guide to Death. Parrish teaches Death, who the world perceives as a man named Joe Black (Brad Pitt), about life and what it is to be alive. 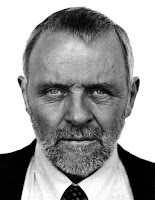 This film follows the secret of disgraced former college professor Coleman Silk (Anthony Hopkins). Silk’s romance with young Faunia Farley (Nicole Kidman) forces him to face his dark past that holds a surprising personal secret he’s held onto for 50 years. Little do people know there is a lot more than meets the eye when it comes to understanding who Silk is. Hopkins delivers an intense yet mesmerizing performance in this role. This action packed thriller will keep you at the edge of your seat wondering what will happen next. This wilderness survival film follows Charles Morse (Anthony Hopkins) and Robert Green (Alec Baldwin) and the uncertain circumstances that follow them after their plane crashes in the wild. Between the plot twist, bear fights, betrayal, and jealousy this film has all things needed to capture and hold your attention till the very end. This Marvel superhero-based film was an instant hit in theatres capturing audiences with its simplicity and action packed development. The film follows Thor (Chris Hemsworth), who is set to inherit the throne from his aging father, king of the Norse gods, Odin (Anthony Hopkins). Things are set to go as planned until Thor’s brutal and thoughtless actions against their enemies force his father to banish him to earth as punishment. Hopkins portrays Odin with strength and truly captures the fatherly component of the character teaching his son a life lesson. Although Hopkins’ role is short in the film his regal presence is felt throughout. KIDNAPPING FREDDY HEINEKEN arrives on Blu-ray and DVD from 8th June, 2015, courtesy of Signature Entertainment.